What is painful for saintly persons who strictly adhere to the truth? How could there not be independence for pure devotees who know the Supreme Lord as the substance? 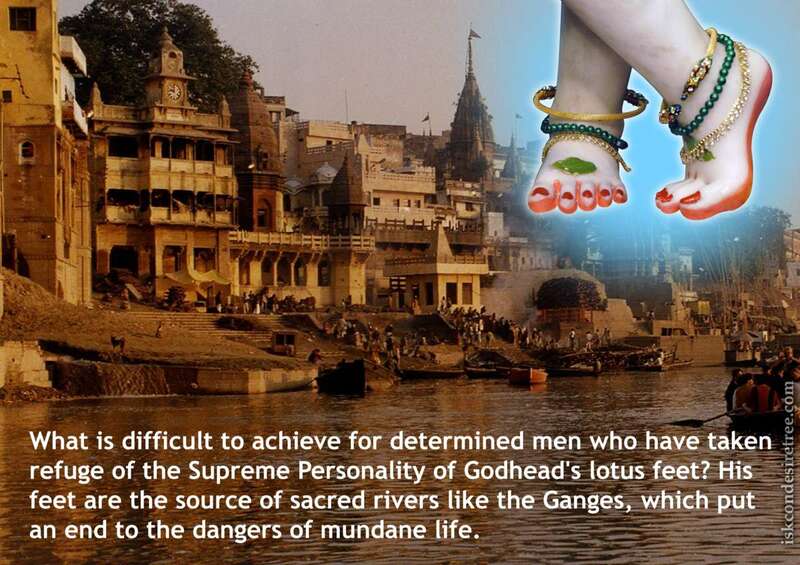 What deeds are forbidden for persons of the lowest character and what cannot be given up for the sake of Lord Krishna by those who have fully surrendered at His lotus feet. The symptom of a Vaishnava is trinad api sunicena taror api sahisnuna, that's the perfect definition of a Vaishnava. Another consideration is that a Vaishnava is a surrendered soul to Krishna. Under no circumstances can the words of persons bewildered by the illusory energy of the Lord deviate the intelligence of those who are completely surrendered souls.